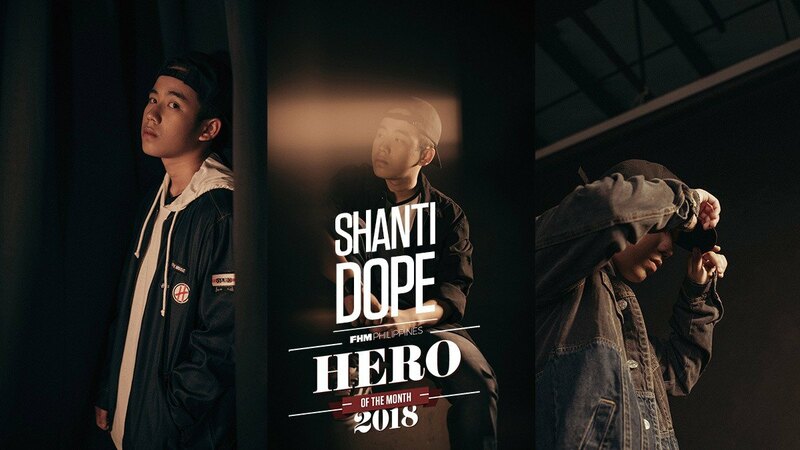 Seventeen-year-old Shanti Dope is one of the brightest hip-hop song writers of this generation. His hits, like the catchy “Nadarang” and self-titled song “ShantiDope,” are being streamed, listened to, and sung by people all over the country. And at a very young age, we can’t help but wonder where this month’s FHM Hero gets inspiration from. Of course, his mentors—one of them is no less than Gloc-9—may be a huge part of his song writing process. But at the end of the day, Shanti reveals that it all boils down to how you perceive your experiences and turn them into something productive (and creative). Such big (and inspiring) words from a newcomer, right?